The 27 inch Professor laminator is designed to provide quality lamination to a wide range of paper and material up to 3/16 inch thick using film up to 10 mil thick. It can also be used with pouch materials. Using heated rollers for laminating, opening and closing roller features plus a highly effective cooling system. The 27 inch Professor laminator is designed to provide quality lamination to a wide range of paper and material up to 3/16 inch thick using film up to 10 mil thick. It can also be used with pouch materials. Using heated rollers for laminating, opening and closing roller features plus a highly effective cooling system. Common applications include limited to maps, digital imaging, packaging, posters, instructional aid, signs, presentations materials, photographs, and may other items. Heated Silicone rubber laminating rollers are flexible enough to provide a good edge seal and firm enough to offer a good surface seal. A high silicone content insures a much longer average roller life. Lamination pressure The rubber rollers are spring-loaded and preset to ensure correct and even lamination pressure. 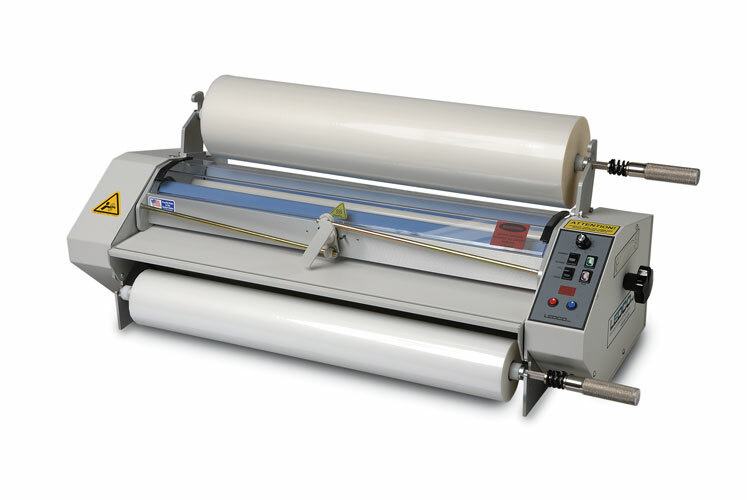 Variable speed The laminator operates at any speed up to 15 feet per minute. Thicker films are generally applied better at mid-range to lower speeds, while 1.5 mil film should be applied at mid-range to higher speeds. LCD temperature display makes it easy to set and maintain the correct temperature. The indicator light inside the heat switch comes on as the machine warms up. At set temperature the indicator light turns off. Simple controls Conveniently placed switches provide a compact, reliable control pad. Icons and international symbols are used for controls and safety warnings. Easy threading Threading can be the most difficult aspect of using a laminator, so the Professor 27 has built in threading aids. Once the upper and lower webs of film have been threaded through the machine, bottom idler threading is automatic when the operator closes the feed tray into it’s operating position. Forced air-cooling This allows laminating with thicker films. Without a cooling system, thicker films will warp or ripple because they are still too hot when they come out the back of the laminator. The Professor 27 has a more effective cooling system than any other machine in its class. 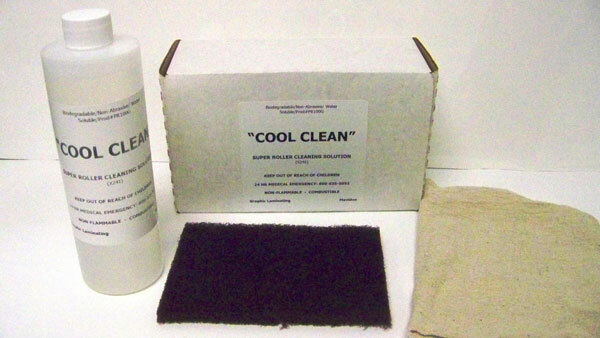 Ease of cleaning The silicone rubber rollers of the laminator should be cleaned regularly. Attached safety shield The polycarbonate shield is clear so operators can see their work. It’s fixed to the machine and placed so they’ll naturally put it in the guard position before laminating. Supply roll tension controls Supply roll tension is easy to adjust by simply tightening or loosening the tension control knobs on the supply roll mandrels. Reverse can be invaluable at times to help avoid problems or clear miss feeds. Zippy safety cutter is shipped with the laminator to allow quick and easy cutting and trimming of the lamination web. Removable power cord prevents unauthorized usage without locking away the whole machine. Laminating Width Up to 27"
Laminating Film Roll Core 1"
Weight / Shipping Weight 93 lbs. / 160 lbs. We recommend using #12 Gloss School Film for the Professor laminator. The #12 low melt film laminates at a lower temperature 240-260 F. Low temperature laminating films bond to a wider range of products. The Professor Laminator is shipped via truck, email for shipping charges.